Summer is coming up quickly. Are you ready? 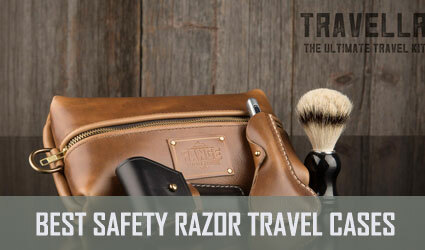 In case you plan to travel somewhere or if you simply want to have an excellent manscaping kit, we offer you a list with some of the best grooming instruments. 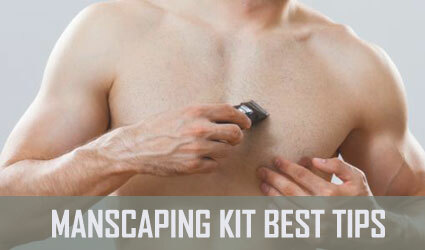 If you’re not already familiar with the term ‘manscaping,’ it’s self-explanatory. A combination of the words “man” and “landscaping,” it refers to grooming for the purpose of getting rid of unwanted body hair on men. Believe it or not, keeping trim and preventing ingrown hairs is not as easy as grabbing a shaver when you are in the bathroom. When you are shaving an area for the first time (e.g. your chest), it is common to get skin irritation, accidentally cut yourself, and even get a breakout. Since shaving can be a hassle, many men turn to waxing instead. However, it is possible to avoid these pitfalls with the right tips. We’re here to give you all the information you need. Even if you have no idea about grooming products, this article will provide you with valuable information and manscaping tips. We will also take a look at various products based on their success on the market. Based on this review, you will have a better overall knowledge of how to choose the best manscaping tools. You might be wondering how manscaping became mainstream. So, we thought we would give you a little update on how it became popular. Whether you’re a seasoned veteran in the men’s grooming department or you could use some tips on shaving and how to trim, it’s likely there are some things you don’t know on how to take care of your body. The earliest record of manscaping or men’s grooming can be traced back to ancient times. In the Bible, stories of Samson and ancient law describe the importance of hygiene and exercising care to look and feel your very best. Historical trends have bounced back and forth between sustaining a manly ruggedness and unnaturally shaven bodies. However, the one lesson we can take away from the history of manscaping is that regardless of the era, you should take pride in and put effort into your looks. Since manscaping has often fallen to changing trends, what is sustaining it today. Oddly enough, WWII introduced armies to the crew cut and methods of grooming to keep their hair short. This was both a matter of safety and practicality. Although it started for purposes other than style, its importance remains in grooming principles today. What Are the Best Pre-Manscaping Prep Products? Before you get started on your grooming journey, there is some necessary pre-manscaping prep that you should do. If you do not use the right materials and prep properly, grooming should be a major pain (literally). For example, some of the standard shaving do-s and dont’s you use while shaving your face should be applied to your entire physique. We have selected some go-to products you should use before moving ahead. Shower gels are effective but you can’t beat the deal from Baxter’s 3-in-1 soap. It exfoliates, moisturizes, and hydrates your skin. We can’t even tell you how fresh you will feel after you get the grime off of your skin’s top layer. Unlike most exfoliating products, this body bar doesn’t leave your skin feeling itchy and raw. Quite to the contrary, its nourishing properties leave you feeling silky smooth and refreshed. It’s a great way to prep before you begin to shave and trim. There’s nothing quite as good as feeling squeaky clean. Are you in need of some pre-shave oil? Step up your moisturizing game with eShave’s great product line. Shaving oils not only soften the skin but prevent annoying razor burn and chaffing. eShave has a wide variety of skincare products available in three scents: cucumber, orange sandalwood, and verbena lime. Cover your body with a few drops of it and massage the oil in. You’ll swear your shaver has never glided more smoothly. Prepping your skin with a rich lather is a shaving step that is often overlooked. Harry’s Men’s Shave Gel brings several benefits to your overall manscaping experience. First, the aloe-infused formula nourishes dry and weathered skin. The gel provides a necessary cushion against the sharp blades of your razor to prevent pesky knicks and cuts. The manly scent lasts well beyond the shaving experience for an overall fresh feel. At a price of only $5.99, you just can’t beat it. Dr. Carver’s Easy Shave Butter is a must-have product to keep in your bathroom cabinet. While shaving gels ease the grooming process and prevent cuts, shaving butter replenishes your skin with rich, hydrating goodness. You can choose to either use it in place of a gel or as a lotion afterward. The formula is packed with healthy, natural ingredients to help you ward off pesky ingrown hairs and razor bumps. You can snag it from Dollar Shave Club for eight bucks. It’s a win-win. Before we dive into the manscaping products list, we’re going to give you some tips on where to use a groomer and why. In this section, we will cover how to groom your eyebrows, ear hair, nose hair, chest hair, arms and legs, armpits, back, and yes, even the pubic area and your rear. If you want to learn more about the art of manscaping, read on. As one of the most defining features on a man’s face, it’s fair to say that your eyebrows deserve a bit of attention. Are your eyebrows too bushy? For fear of looking like one of the Marx brothers, men have banded together and decided to trim their brows. If you are a first-timer, don’t worry. Using a groomer here is (relatively) pain-free and one hundred percent worth it. So what is the general idea? First, stay true to your appearance. You don’t have to do anything too extreme. You want to focus on removing the stray, straggly hairs to create a cleaner overall appearance. Start your brow grooming with an ever so slight trim. Take a beard comb and go through the hairs, brushing upward. This is done to reveal any out of line hairs. Then, carefully trim the ends using a pair of blunt-edge scissors. Be careful not to knick your skin. Next, you can target any lone hairs with a pair of tweezers. Yes, this will make your eyes water. The best time to do this is when your pores are open (e.g. post-shower or sauna session). Only remove hair that is between your eyebrows or far above them. Don’t pluck hairs in your eyebrows themselves. Avoid patchiness at all costs. After you are done, apply a small amount of serum or pre-shave oil to soothe your skin. We all know that ear hair and nose hair trimmers exist. But let’s be honest. Sometimes hair growth can get out of hand. Since this area can be particularly sensitive, it is important to read up on the best grooming practices and use the manscaping tools. While middle-aged men are the most likely to get longer ear hair, many men begin noticing it getting longer during their mid-twenties. For the outer ear area, tweezers work the best. They allow for precision in taming unruly hairs and are much safer to use than blunt edge scissors or an electric product. In addition, they tackle hair at the root, meaning it will take much longer for it to grow back. Obviously, you need to have some hair in your nose. Nose hair is one of your body’s natural filters. It prevents dust and bacteria from entering your nasal cavity and negatively affecting your health. With this said, there is no harm in keeping stray hairs in check. Visible nose hair serves no purpose and is honestly pretty gross. A good option for keeping nose hair growth under control is an electrical trimmer. Not only are they ergonomic in design but they are also easy to use. However, they are not as accurate as scissors. Unless you are doing some heavy duty trimming, a small pair of grooming scissors should be able to do the trick. For guys who have never shaved or waxed their chest before, this may seem like one of the strangest manscaping techniques. Unless you’re a competitive swimmer or cyclist, keep some of your chest hair in place. Believe it or not, women actually like it. If you do not own one, invest in a good electric trimmer like Philips’ BodyGroom. Trim only when you notice the hairs getting too long or scraggly. Exactly what type of trim guard you use for the blades and how much hair you want to shave off is up to you. This rule of thumb applies to anywhere that you want to use manscaping tools on your body. Adjust your trimmer’s guards (for the blades) before you begin and be gentle with your skin. Using shaving cream is always a good idea. Unlike chest hair, all of the back hair on your body has got to go. How do you go about eliminating this unwanted body hair? Unfortunately, you can’t get by with a manscaping trimmer on this one. You won’t be able to reach it and you shouldn’t put your partner through that. This means that a salon visit is your best bet. Set up a waxing appointment. Not only does it save you the hassle of doing it at home but waxing can last for weeks or even months at a time. If you can’t bring yourself to endure the pain of waxing, you can use an electric trimmer or a hair removal cream. However, these methods only work if you have a small, fine amount of back hair. It will not work on someone with thick, coarse hair. Who doesn’t want to feel fresh and eliminate unpleasant odors? While we are not suggesting you shave under your armpits entirely, a trim here and there does not hurt. Keep it short and use a good body wash and deodorant regularly. We only recommend trimming if your arm and leg hair is excessively long. Use a small trimmer and guard so your appearance looks natural. No, we’re not suggesting you take a trip to Australia. All jokes aside, grooming for your pubic area is one of the most important yet overlooked parts of trimming body hair. A body hair groomer works well for the bush area and the upper parts of your leg. These tools have special guards to prevent nicks and cuts on your skin as well as general skin irritation. When you begin to shave, it is important to pull the skin back and keep it taut. If you need to trim around your balls and groin area, do not use an electric manscaping trimmer. Well, unless you want annoying ingrown hairs. Your nether regions are far too sensitive to use anything other than a wet razor and a lot of shaving cream. Be sure to take slow strokes to avoid cutting yourself and rinse off the blade regularly. Do your perineum and backside need shaving too? There are options for you. Depending on your comfortability level, you can use a body groomer on a very low setting. Another option is to set up an appointment for a wax. Yes, you could attempt to use a standard razor but we’re going to advise you very strongly against it. Leave it to the professionals and skip the hassle of having to groom there yourself. As we mentioned earlier, waxing is one of the best ways to eliminate hair. It won’t grow back for several weeks – or even months if you are lucky. What Are the Best Post-Manscaping Products? Manscaping can be a time-consuming process. Needless to say, shaving and waxing take a toll on your skin. To help your skin hydrate, deal with any irritation, and recover quickly, you will need to invest in the right post-manscaping products. We’ve taken the guesswork out of it for you and found the best skincare solutions to help you feel great after the process. Have you ever used a multi-tasking lotion? If not, you should start now. The Shavior offers Grooming Lounge, a wonder product that has garnered rave reviews from customers around the web. What exactly does it do? Its formula includes ingredients that actively work to combat ingrown hairs, razor bumps, and skin irritation. Gently rub it into problem areas post-manscaping and allow the product to sink in. Soothing elements like chamomile set this lotion apart from so many other competitors on the market. Let’s cut to the chase. If you have ingrown hairs, it’s time to nip them in the bud. 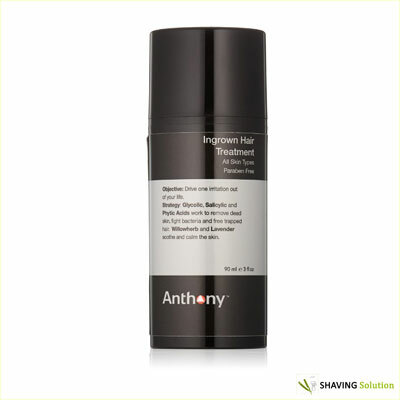 Anthony’s specialty hair serum uses glycolic acid to peel back layers of dead skin cells. This process releases ingrown hairs by eliminating bacteria and calming inflammation. No, talcum powder is not just to powder diapered babies. Grooming Lounge’s Super Powder is giving big name brands a run for their money. Another great all-purpose item, this powder can be used anywhere on the body (except for the face) to give you a fresher scent and alleviate itching post-shave. It’s suitable for all skin types. Manscaped Crop Preserver is up there with the best products we have tried. Why? This anti-chafing deodorant is specifically made for below the belt. For those who want to stay sweat free and smell fresh, using this product is an easy way to stay up to date on your hygiene. The fast-absorbing gel talcum powder, antibacterial properties, and anti-chafing protection are here to give you long-lasting protection and relief for your post-grooming session. How do you choose the right razor? No matter how many times you have shaved and even if you don’t like to admit it, the experts know best. So to help you find the best razor (aka manscaping trimmer), we asked around and did some research for you. There are so many options available to choose from, it can be tricky to know exactly where to begin. Maybe some of those cheaper options with brightly colored packaging are beginning to look appealing – steer clear, friends. Between all of the logos and product buzz, finding the right razor can be tough. As you may have guessed, there are several things you should know that will make your search a whole lot easier. All razors and blades are not equal. First, the number of blades a shaver has means a lot. To achieve your shaving goals, opt for a shaver that has four to five blades. 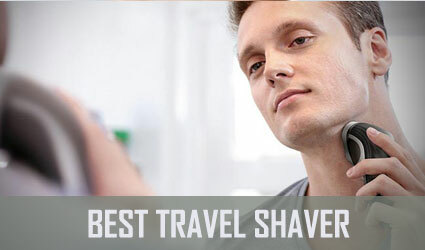 Another option is to choose a shaver that moves with you. ‘What?’ Exactly. Have you ever tried using a cheap razor and then sliced your halfway down your chin? Stationary blades are more likely to cut you when you shave. Who knew? An ergonomically-designed handle is also highly beneficial to keep from cutting your skin and getting skin irritation. 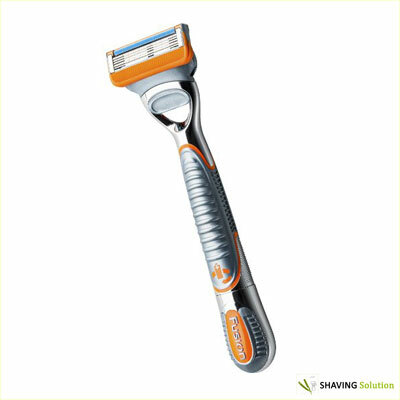 It’s not only easier for you to hold but also will give you better control when you are shaving. Make sure to use plenty of shaving cream too. Experts recommend that people should avoid using the same manual razors for both their face and chest. It is always best to get separate manscaping razors for every body part you want to shave. Plus, these sanitary choices will improve your hygiene management. For instance, you can go to Amazon and purchase the Gillette Fusion Power Razor which might be the best razor for manscaping. Despite the fact that for some people it might seem old fashioned or girlish, a comb will certainly come in handy if you want to avoid having your hair flattened to your scalp. With the help of a comb, you can easily lift your hair before you start trimming it. Incorrect use of the manual razors can cause ingrown hair and bumps on your face. To deal with this problem we recommend you to go for the Anthony Ingrown Hair Treatment for quick and great results. In addition to this, this treatment is also efficient against redness and razor burns. Some men have sensitive skin so they need to use a generous amount of shave gel to prevent cuts, burns, and any irritation. 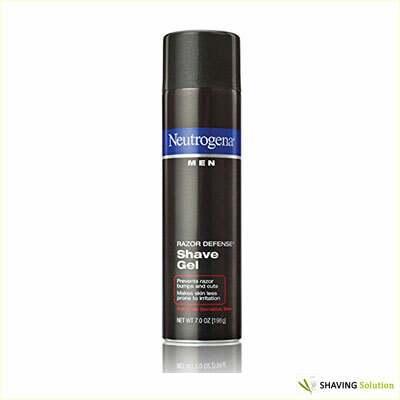 If you want to choose a safe and healthy product, you should pick the Neutrogena Men Razor Defense Shave Gel. Some men have problems with their back hair, so reaching some areas can be quite challenging.  Fortunately, there are various products that might help you get rid of your back hair with a little effort such as the Mangroomer Do-It-Yourself Electric Back Hair Shaver. 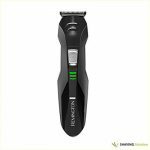 First, it is not enough to buy any trimmer as you need to know which trimmers are the best before deciding which one to buy. Many people want to have their own manscaping kit but they become confused when they realize how many accessories they need. However, when it comes to a manscaping razor or a manscaping shaver, there are various options as well. Note: for more info on this product, you might also like to check out our Mangroomer Ultimate Pro review. What is the Best Manscaping Kit? If you want to buy one of the most popular products, then you should pick the Panasonic ER-GB80-S which has various features including 39 settings for trim length, slide up precision trimmer, rubber grips, masculine design, cordless, and stainless steel blades. It is worth mentioning that this device is the most expensive product on our list because it is around $99. The Andis Slim Line 2 Trimmer is another great buy. For those of you who haven’t heard about this masterful trim tool, it’s been around in barbershops for decades. We all know that if our stylist trusts this groomer, it’s good enough for us. One of the best things about this tool is that it is great for so much more than simply trimming body hair. Place a guard on it and you can use it for a wide variety of shaving techniques. With eight different comb lengths ranging from 1/16” to ¾” in length, you have many options. Did we mention it is affordable? As the trimmer of choice for seven of Shobha’s top-notch NYC hair removal services, you can’t go wrong with the Wahl Stainless Steel Lithium Ion Trimmer. Since men’s hair tends to be courser and denser than women’s, you need a heavy-duty groomer that isn’t going to break down after a few uses. While this Wahl Trimmer is on the expensive side of the price spectrum, it is a worthwhile investment. 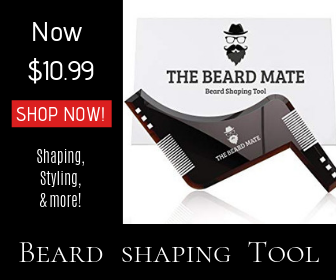 It comes with multiple shaving head attachments for highly customizable trims. There are twelve combs ranging from 1/16” to 1” in length and three additional shaving heads that can be put in (including a nose hair trimmer, precision detailer, and outline shaver). This is a great multi-purpose trimmer. Are you looking for a great groin area trimmer? When it comes to a gentle trimmer, the Manscaped Lawn Mower 2.0 is a great pick. Don’t be put off by the name. Its small, fine blades and waterproof capabilities, making it one of the top manscaping tools for a sensitive area. For those in need of a palm-sized travel trimmer, the Wahl Peanut Classic Clipper/Trimmer is both affordable and convenient. While it isn’t the most aesthetically pleasing device, what it lacks for in style it makes up for in efficiency. 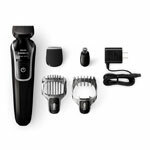 It may seem strange to buy a corded model when basically every trimmer on the market is cordless and rechargeable nowadays. However, many stylists argue that a corded style is more durable. Customer reviews have noted that this device has lasted them for more than ten years. The device comes with four attachments ranging from ⅛” to ½” in length. Another high-quality shaving tool for your manscaping kit is the Philips Norelco Bodygroom 3100. 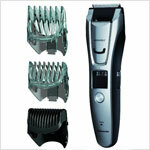 Besides being designed for body grooming, this instrument is equipped with a trimmer and foil shaver as well. Thanks to its dual function, this device might be the best shaver for manscaping. Sure, a good electric trimmer will cover the bases for your most basic grooming needs. But for specialty grooming, you will need to step it up a bit. This is where the Groom Mate Stainless Steel Nose & Ear Hair Trimmer comes in handy. Do you feel like you have tried every type of groomer out there? It’s common that smaller models are fragile and break easily but Groom Mate carries a good track record for durability. The stainless steel construction and lack of moving parts make it hold up better than many other models on the market. Did we mention that it is easy to clean? All you have to do is rinse it off with a little water. It seems that Philips continues its impressive work in the manscape category with the Philips Norelco Multigroom 3100. It’s no surprise that this company has two products in our top because if you purchase this electric shaver, no hair will ever stand in your way. This shaving instrument comes with five different attachments such as mustache and beard trimmer, nose trimmer, detail trimmer, and a stubble comb. In other words, this Norelco might be a great asset for your manscaping kit. Plus, it is also cheap (around $18) but probably not as durable as more expensive trimmers. We trust the Tweezerman Stainless Steel Slant Tweezer to get the job done. Whether you want to groom your eyebrows or just tackle stray hairs, this simple tool makes it easy to grab and lift the hair. They come with a lifetime sharpening guarantee, meaning that if they get dull, all you need to do is send them to Tweezerman and they will replace them with a free pair. For $12, this is a deal you just can’t beat. 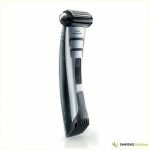 The fourth electric shaver from our top is the Remington PG6025 All-in-1, a product which is highly rated thanks to its great success on the market. Just like the previous device, this shaver is quite cheap (around $20). More than being cost-efficient, this electric razor also has many impressive features. This device and the Norelco 3100 are excellent tools, which can easily fit into your luggage if you want to travel. Sure electric trimmers make life easy. With this said, we understand that they are not for everyone. For those of you who prefer to be sleek and hairless – or just want to have their grooming last for weeks, waxing is the way to go. Waxing may look complicated but Depimiel Men’s Hot Wax Kit makes it easy. This package comes with a portable heater, waxing strips, wax cartridges, and a roll-on applicator. Stretch your skin before applying the wax and do a test to make sure the wax isn’t too hot before you apply it. A bit of residue may remain on the skin after waxing but it should come off easily with warm water and soap. In addition, try using a wax off serum and some grapeseed oil to smooth the skin after and soothe any possible skin irritation. 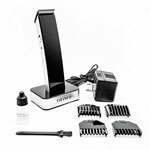 The last important shaving instrument from our top is the TRYM II Modern Hair Trimmer, which is a modern, sleek, and cordless hair trimmer widely popular among men. It can easily find a place in a modern bathroom thanks to its professional-grade blades and multiple attachments. 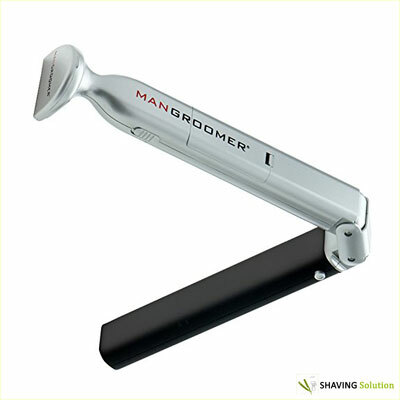 So if you wish to get the best shaves, then this trimmer should be part of your manscaping kit. All these products represent anything a man wants when it comes to grooming. Now, you have a wide variety of products from which you can choose. Most importantly, the grooming list and the top choices were made based on the best reviews given by a large number of customers. If you need more options, we invite you to read our article on the best body hair trimmers available for online purchase this year! Every aspect related to manscape and grooming might be quite confusing at first for many men but if you develop a plan, you can make a list with the best products that will not only satisfy your needs but also be a safe investment. We hope that things have become clearer for you after taking a look at our recommendations regarding the best manscaping kit. All these five products represent anything a man wants when it comes to grooming. Now, you have a wide variety of products from which you can choose. Most importantly, the grooming list and the top 5 were made based on the best reviews given by a large number of customers.